You’ll be forgiven if you haven’t a clue. This is one holiday that simply hasn’t registered on most Americans’ radar. Nor has it made its way onto most Americans’ busy calendars. That’s understandable. It lacks the glamour of Christmas, or the bright promise of Easter. It lacks clear traditions, like those surrounding Thanksgiving, or even Memorial Day. When you think about it, even President’s Day gets more respect. After all, it is a recognized federal holiday that warrants a day off for federal employees, if not the rest of us. Even Mother’s Day, which warrants no official time off for anyone, is far more widely recognized, respected and celebrated. After all, without Mother’s Day, would brunch-serving restaurants be able to remain in business? Would florists go bankrupt? Probably not, but you get the idea. In America, even unofficial holidays such as Valentine’s Day are huge money makers for certain industries, and they’re widely recognized and observed by the public. Even Father’s Day is linked to the highest sales of neckwear (valued at billions of dollars annually) of the entire year. That’s a lot of love for dear old dad being demonstrated on a single day. But Grandparents Day? Not so much. Nevertheless, this is a real holiday celebrated the first Sunday after Labor Day every year. 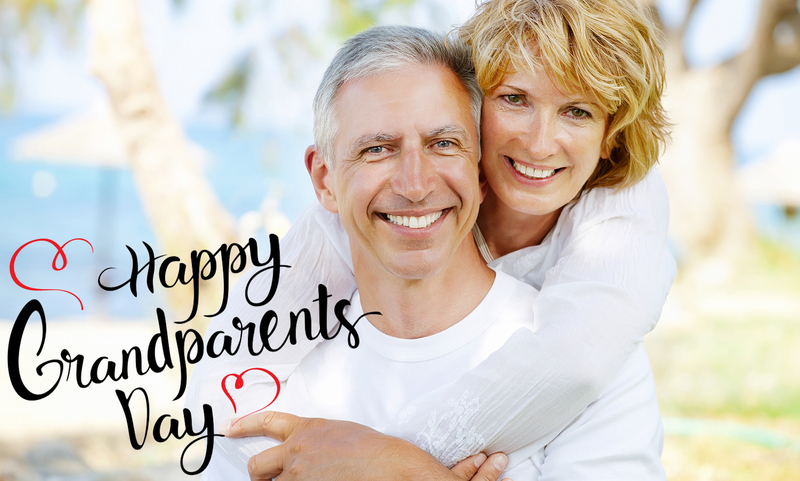 First recognized by President Jimmy Carter in 1978, Grandparents Day was intended to recognize the significant and beneficial contributions of seniors to our society. The day seeks to “strengthen the enduring values of the family,” according to a speech delivered by President Carter. Congress issued a joint resolution requesting that the president designate the first post-Labor Day Sunday as National Grandparents Day. In 2018, Grandparents Day falls on Sunday, Sept. 9. Advances in nutrition, immunization and medical technology have combined to extend the average American’s life expectancy. Today’s seniors are living longer than ever, and that means there are more grandparents around than ever before. Many still work, while millions are serving as sole caregivers for at least one child under the age of 18. How, then, to recognize their contributions and honor our grandparents on this special day? Suggestions include spending time with one’s grandparents. This typically puts the focus on grandchildren, who get to spend special time with one or more of their grandparents. The Forget-Me-Not is the official flower of the day, despite the fact that these lovely blue flowers typically bloom in spring. Some schools celebrate the holiday with activities or assemblies. While there are no official activities recommended, most grandparents are happy simply to spend some quality time with their grandchildren. Depending on the family members’ interests, this could involve going fishing, attending a ball game, having a cookout, or going out to brunch. Gifts are not necessary, although a handwritten note expressing a child’s appreciation for their grandparent would certainly be a welcome gesture.